Get a stylish new storage bench unit. With handy drawers and wicker baskets to provide plenty of storage. Made from wood in a white painted finish. The baskets’ cloth inserts are washable. The bench features a comfortable seat padded with comfy sponge. 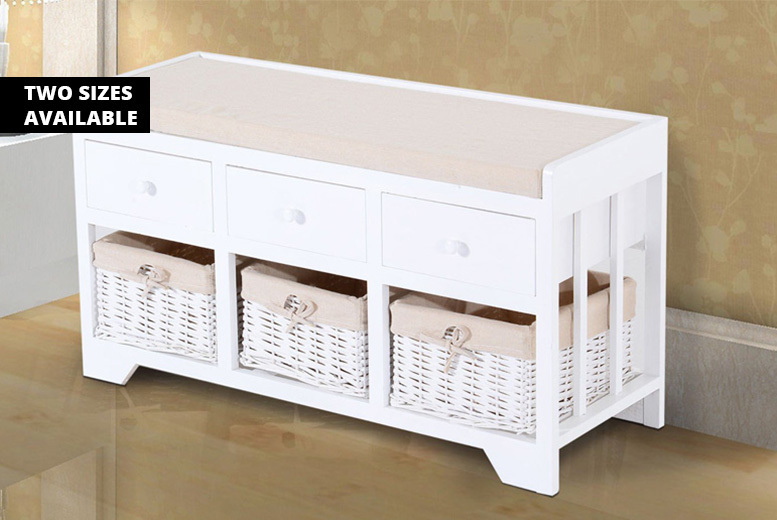 Choose two drawers and baskets, or upgrade to three!